Papa is the story of the American Dream. It’s the story of starting small and making it big. It’s a story that can inspire anyone to follow their passion and chart their own path. Whether you’re looking for the principles and practices that make a business successful, or you’re just looking to read the story of someone who achieved more than they ever thought possible, this book is for you. How does a pizza business go from a broom closet in the back of a rundown bar to a multinational chain with 5,000 stores and $3.7 billion per year in system-wide sales—and in only 30 years? The answer is simple: It puts its customers and its team members first. That’s the story of Papa John’s. That’s the story of a “good business.” And it could be the story of anyone who wants to run a company or benefit their community, so long as they’re willing to apply the principles and practices that made Papa John’s so wildly successful. 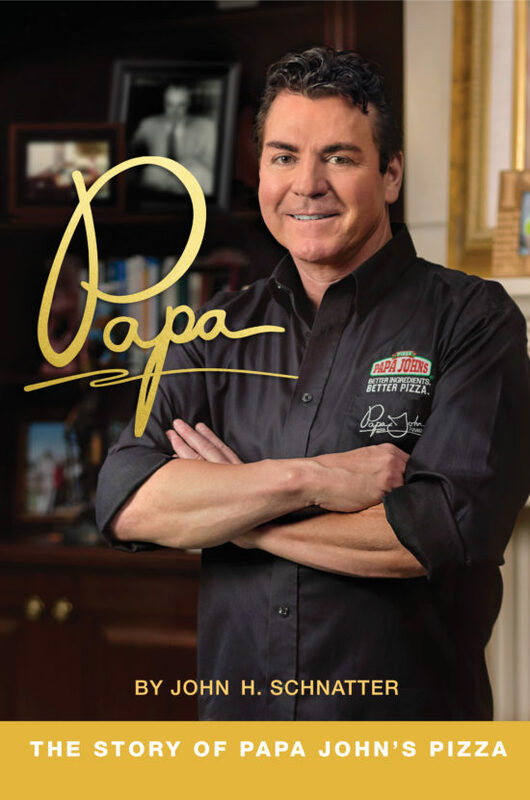 John H. “Papa John” Schnatter developed an entrepreneurial spirit and a passion for making pizzas while growing up in Jeffersonville, Indiana. So after saving his father’s bankrupt tavern at the age of 22, he knocked down a broom closet in the back of the bar. Then he installed a used oven and began delivering pizza pies made with his personal recipe around town. Just over thirty years later, Papa John’s is an international restaurant powerhouse, with 5,000 stores worldwide and $3.7 billion in system-wide sales. 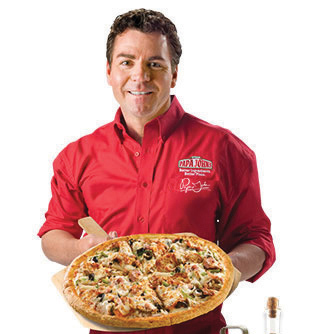 More importantly, John Schnatter insists on always using better ingredients to make better pizzas—pizzas that millions of people worldwide know and love.